People of all faiths are targeted, including Falun Gong practitioners, Christians, Uyghurs, and Tibetans. The photo of the first page of the assessment plan as featured in Bitter Winter’s article may be the first photographic evidence of arrest quotas for Chinese police. The page shows that, in the case of Falun Gong practitioners, police are awarded 20 points if they arrest someone under the jurisdiction of the Ministry of Public Security; 10 points if the person falls under provincial-level Public Security; and five points if the case is managed by the city-level public security. The magazine revealed the “highest scores are given to the most persecuted religious movements,” which includes Falun Gong, a traditional spiritual practice that became popular in China in the 1990s. The police station chief can be fired from his role if the quarterly quotas aren’t met. In an attempt to meet the quotas, police stations distribute the names of previously arrested people to local communities and building managers, and ask them to report to police if they see these people engaging in “suspicious activities,” the article revealed. 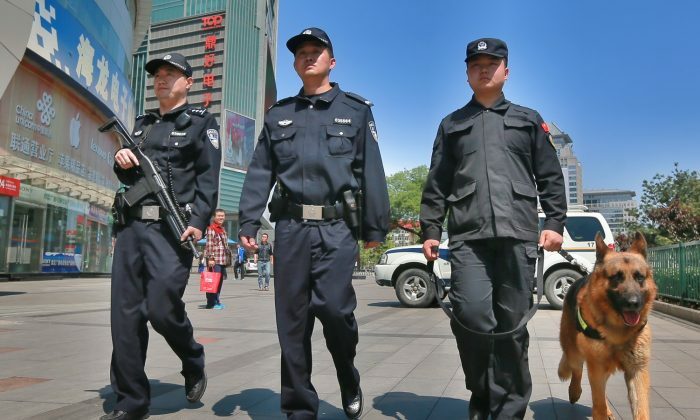 In Dalian, officers are authorized to arrest any person of faith who owns three or more religious books, and transfer them to the city’s National Security Brigade to be interrogated, the police officer said. The officer told the magazine that although he doesn’t want to arrest people who are innocent, he admittedly fears the consequences from his superiors if he doesn’t comply with the quota allotted to him. When a police station isn’t meeting its quota, some officers would resort to buying names of those arrested from other police stations that have surpassed their quotas, with each name costing about 500 RMB (about $70), the officer said. Minghui.org, a website dedicated to posting information about the persecution of Falun Gong, reported in 2013, 2016, and 2017 that police officers said they were subject to minimum standards of how many Falun Gong practitioners to arrest. The CCP has persecuted Falun Gong since 1999, when then-CCP leader Jiang Zemin introduced an extralegal secret police called the “610 Office,” dedicated solely to carrying out the persecution. The CCP seeks to forcefully convert adherents of Falun Gong, in a process commonly referred to as “transformation,” in which the person must cease and denounce their practice, as well as assist in “transforming” others. “The intended outcome of this transformation campaign is the eradication of the practice among the living and the death of those not transformed,” reads a peer-reviewed article, led by Canadian associate professor Dr. Maria Cheung and published in 2018, that discusses the persecution of Falun Gong. In 2004, Minghui reported a prison in Shenyang City, Liaoning Province, had an annual quota of 20 “normal deaths,” which encourages police to torture Falun Gong practitioners without any restrictions. The report is among several by Minghui that note the existence of “death quotas” given to police. In a similar vein, police are given a quota of how many people need to be sent to “forced labor.” One example dates to 2011, when a 50-year-old female farmer, Zhong Zhaofen, was arrested in Zhaoyuan City of Shandong Province and was subject to forced labor, among other abuses. “We were given a quota of four forced labor sentences from our superiors. [This person] is just in time to be one of them,” the article quoted an officer in charge of Zhong’s case as saying.